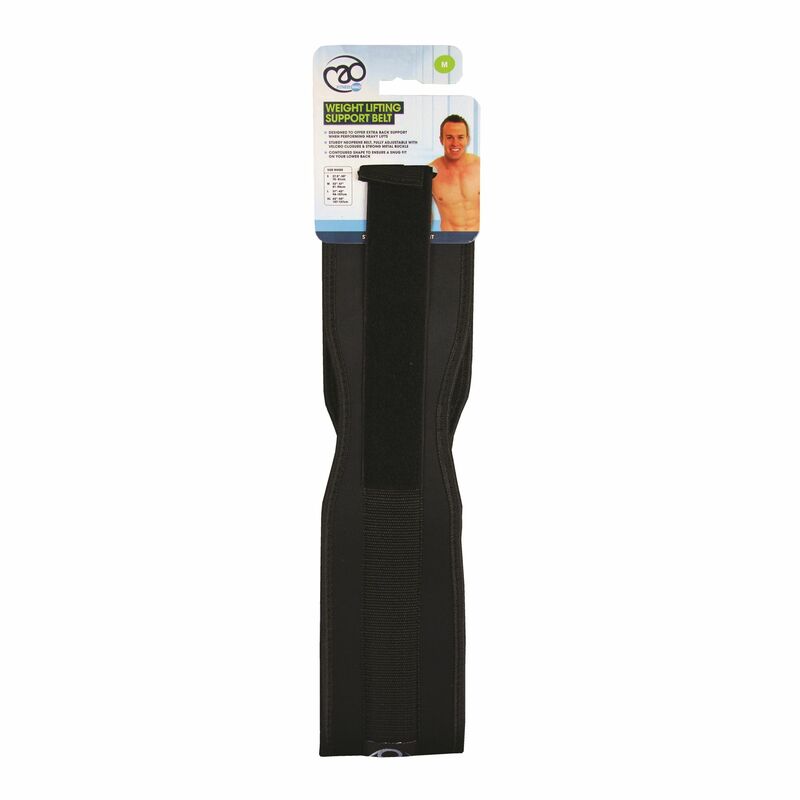 The Fitness Mad Weight Lifting Support Belt is designed to provide extra back support when performing heavy lifts. This sturdy neoprene belt is fully adjustable with a velcro closure and strong metal buckle. The contoured shape ensures a comfy fit to the lower back. for submitting product information about Fitness Mad Weight Lifting Support Belt We aim to answer all questions within 2-3 days. for submitting product information about Fitness Mad Weight Lifting Support Belt. We aim to answer all questions within 2-3 days. If you provided your name and email address, we will email you as soon as the answer is published. for submitting product review about Fitness Mad Weight Lifting Support Belt.